It happens every year. The holiday ribbons are hardly packed away when the urges to plant start coming. When I go into the cool pantry to fetch oranges, I can almost hear little voices coming from my seed storage box, calling "Plant me! Plant me!" The itch to plant has no respect for the fact that winter has three months to go. At the same time, planting too early is fraught with pitfalls. Because of the Earth’s position in the solar system, winter days in the northern hemisphere become too short for growing most edible plants. Even if you have an insulated greenhouse, you can’t get much growth from the most cold-tolerant leafy greens when days are shorter than 10 hours long. Winter sun is also less intense than summer sun, so pushing plants to grow in winter can be an exercise in frustration. It pays to wait for the good light that comes in late winter to start using greenhouses, cold frames, grow houses, and other season-stretching devices for early plantings. Meanwhile, you can amuse yourself growing a few select edibles indoors under lights, like a little lettuce or mesclun for sandwiches, or perhaps some super-hardy mache for an early spring crop. But don’t get too carried away, because exposure to cold can have disastrous results for young onion, parsley, and even radish seedlings. The biggest risk with starting cool-season crops too early is that short days and cool temperatures may make them "think" they have been through winter – a process called vernalization, which triggers the production of flowering hormones in numerous plants. When this occurs prematurely in the vegetable garden, we call it early bolting. Cabbage family crops that are set out too early may be triggered into early flowering by the vernalization process, and onions are notorious for bolting when exposed to more than a week or two of moderate cold. To be on the safe side, it’s generally better to wait for warmth and light than to set out seedlings in cold, low-light growing conditions. There are exceptions! Globe artichokes and sprouting broccoli like to be vernalized, so growing some seedlings may be just the project you need to keep you busy in the next few weeks. Globe artichokes are perennials and sprouting broccoli is a biennial; both can be coaxed into production their first year by exposing sturdy, hardened-off seedlings to temperatures around 40°F (4-5°C) for several weeks in early spring. This often can be accomplished by starting seeds indoors under lights in January, and shifting the seedlings to a cold frame or other protected area in March. 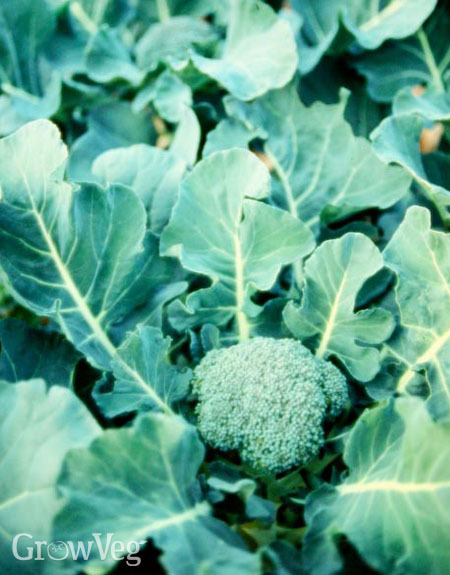 By purposefully staging the vernalization process, you can have sprouting broccoli quite early in the season, and you will have a fair shot at growing globe artichokes as annuals. Best of all, you’ll have plenty to keep you busy while you await the arrival of spring. "Thanks for the tip about the broccoli. I'll give this a go. I wonder will it flower early enough to miss the cabbage whites? I have some overwintering plants too - I'm hoping our excessive cold weather this year won't have set them back too much!" "When your garden is under a foot of snow it is difficult to think of gardening! The greenhouse is also out of the question as the snow drift has blocked the doors!" "Here in So. California where it is sunny, you do want to get gardening. I learned my lesson last year as I had to start my vegetable garden three times. We had a freak frost May 31st. I am going to try the broccoli. "